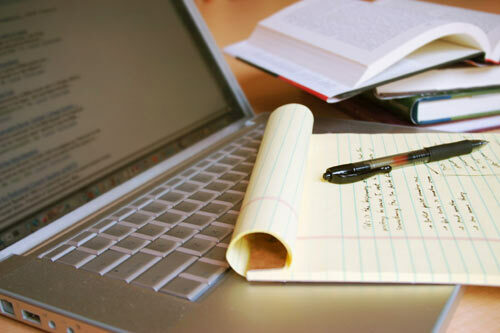 When using Aim-Smart to match data, there are several steps you can do to improve performance. First, when matching two sources, always make the second source (called the target) the larger of the two databases. The reason for this is that the sound-alike engine is applied only to Source A. There is processing time involved in creating each sound-alike, and additional time in storing them for matching later. 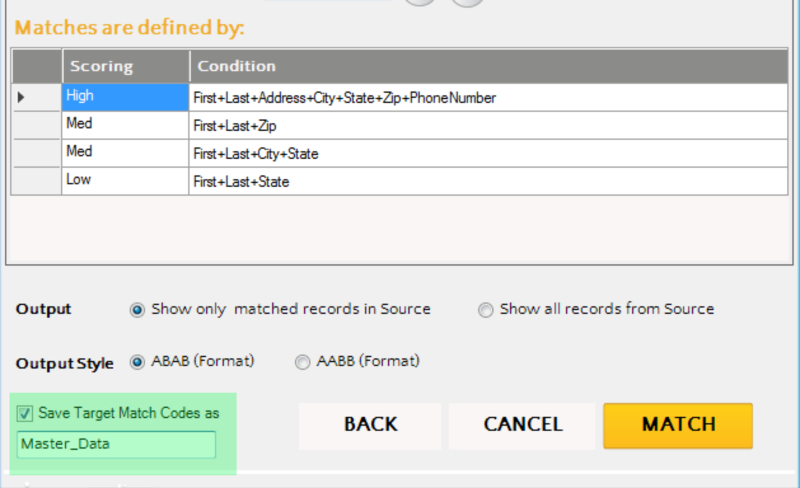 You can then reuse the “Master_Data” database by pressing the Custom DB Matching icon within the toolbar. Third, each additional condition that is added, makes matching slightly slower. In my testing I found that going from one match condition to five increased processing time about 50%. 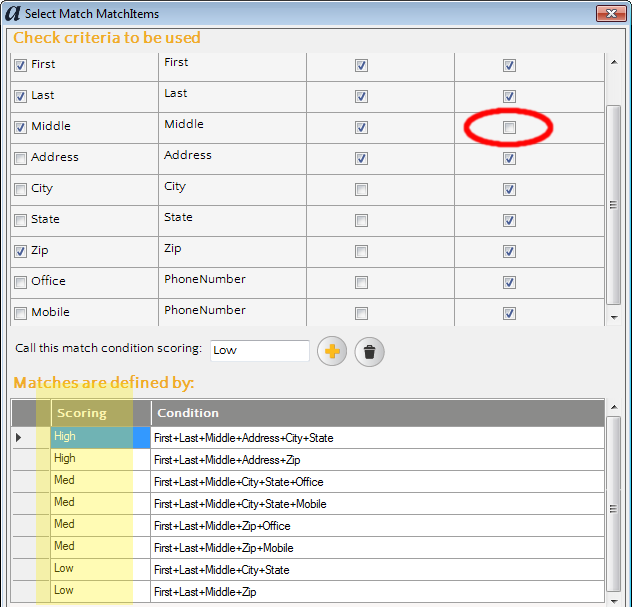 You may not want nor be able to reduce the number of match conditions used, but something to keep in mind. Lastly, use a solid state drive. 🙂 It’s amazing how much they improve I/O performance.